Target has reduced their Lauren Bush Lauren's FEED collaboration items up to 60%. Don't worry, even though your savings can translate into a free meal for you, doesn't mean that those in need will go hungry. At the onset of the collaboration, Target committed to 10 million meals. So, this discount is just a win-win situation. 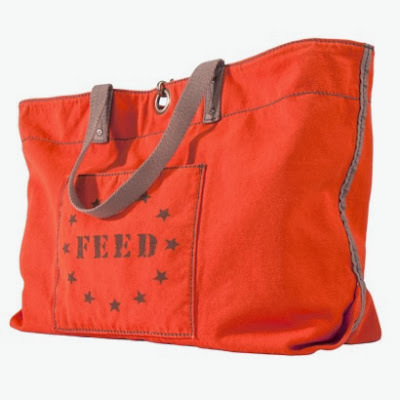 Head over to the FEED section of the Target website, and you'll find a large orange woman's tote bag reduced to $12 from $35, a FEED baseball cap is $5 from $15 and the famous Target collaboration bike is $200 from $400. Although these are sale items, they could be thoughtful holiday gifts for the humanitarian among your friends and family. At these prices you can even through in a donation to your loved one's favorite charity. Now, that's what we call spreading good will.